Yes, we know, Plex can handle music pretty well. However, to unlock the service’s most powerful music features (such as automatic playlists, lyrics, and audio fingerprinting), you’ll need to subscribe to Plex Pass. And even then, if you only use Plex for music (and not for TV shows and movies), you’ll have to wade through a lot of superfluous features. The open source Ampache is a web-based app. Although you can also use it to stream videos, its primary focus is on music. Ampache will run on any platform that supports PHP. The web interface can be used as a playback tool and a music manager. It has the ability to pull your music collections from both local and remote locations so you can enjoy a unified library wherever you are. You listen to your music through both the web app, your local speaker system, or a large number of smart devices. To control the music remotely, use you can use the app’s Localplay feature. CherryMusic is a music streaming server. Like Ampache, it is also open source. And again, you can get it running on most on your devices, including a Raspberry Pi. The server is extremely lightweight. During the installation process, you’ll need to run a tiny bit of Python in the CherryMusic directory. Thankfully, it’s a simple process, even if you’ve never worked with Python. CherryMusic offers a detailed setup guide on its website if you need more information. Once you have installed the app correctly, you’ll need to navigate to http://localhost:8080 in your browser to configure the app for the first time. CherryMusic has a simplistic layout that’s easy to navigate. Features wise, it supports multiple accounts, playlist sharing, and artwork fetching. As you will soon see, Subsonic—which was originally open source—provided the bedrock for many of the best music server apps. Today, the app is closed source. It can stream videos as well as music, but its core strength remains audio files. If you’ve ever used Plex, you will be familiar with the basics of how the app works. You need to install it on the same drive as your music files, then use a web portal to access your content. Subsonic does offer device-specific apps; however, they are part of the premium version. This costs $1/month. 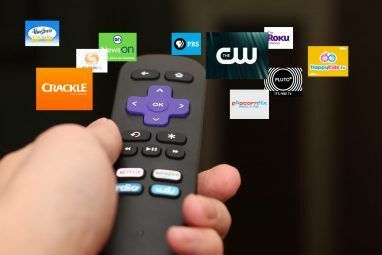 The subscription also buys you video streaming functionality, support for Chromecast and Sonos, a podcast player, an ad-free web player, and even your own personalized server address. When Subsonic’s developers made the decision to move to the closed source format and introduce a premium tier, the community split. Some of the former team created a new app called Libresonic. After a few years of development, some further difference emerged between the creators, and yet another new app—called Airsonic—was born. Like the original Subsonic, the app is dedicated to remaining open source. Some of the server’s best features include the ability to stream to multiple speaker systems at the same time, on-the-fly conversion of different audio formats, and customizable bitrate limits (in case you’re on a slow connection). Furthermore, Airsonic can work with genuinely massive music collections. It can handle hundreds of gigabytes worth of content without breaking a sweat. If you’ve ever amassed a collection that large, you’ll know the difficulties that some of the mainstream music managers The 5 Best Free Music Players for Windows The 5 Best Free Music Players for Windows Downloading music still has its benefits. For one, you can play music even when you don't have internet access. But which music player should you use? Find the best free music players here. Read More have handling similar-sized libraries. Mopidy offers something unique—in addition to being able to play your locally-saved music collections from anywhere in the world, it also works with Spotify, Google Play Music, and SoundCloud. Not even Plex offers those features natively. 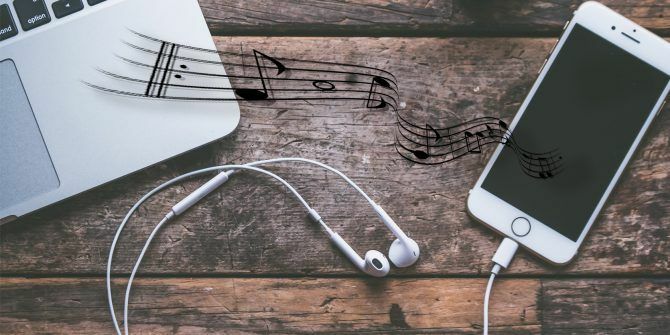 Thanks to its ability to mix your music and tracks from music streaming services Amazon Music vs. Spotify vs. Apple Music: Which Is Best for You? Amazon Music vs. Spotify vs. Apple Music: Which Is Best for You? This comparison of Amazon Music Unlimited, Apple Music, and Spotify, will help you find the best music streaming service for you. Read More , you can make the argument that Modify is the most holistic music-based alternative to Plex. Because Mopidy is available on GitHub, the community is constantly making more add-ons. Support for other music streaming services is continually becoming available, and there are many add-ons that can enhance the app’s native features. Mopidy is also available on the Raspberry Pi. Sonerezh is a self-hosted music server; it’s similar to CherryMusic. Thankfully, it’s somewhat easier to install than its competitor. The developers include an automatic two-click deployment wizard that’ll the app working in no time. Adding music to the server is equally straightforward. Just tell Sonerezh where you’ve saved your files, and the backend will take care of the rest. Sonerezh’s user interface is only accessible via the web. Its design is simple and easy-to-use. The app supports MP3, MP4, OGG, and Vorbis files. Funkwhale is another self-hosted server option. The app is worth including for a few reasons. Firstly, it offers music discovery tools such as automatic radio stations. Of course, the tools will only work with the songs you have added to the app, but if you have an extensive collection, it can help to remind you of some forgotten gems. Secondly, you can listen to music on other users’ servers as if it was your own. Finally, the app includes MusicBrainz integration. It’s just about the most accurate app when it comes to tagging your music collection with the correct metadata. And remember, because the app is free and open source, there are no ads anywhere on the platform. We will conclude with a mention of Google Play Music. It’s well-known that the app lets you upload 50,000 of your own tracks which you can then stream from anywhere. Of course, it’s not suitable for people who want more control and functionality from their app, or anyone who has a vast library that they want to access remotely. However, for people who want to make a small collection of music readily available, it’s an easy-to-use (and highly polished) alternative. Plex-style music server apps are just one way you can make your media available wherever you go. For example, you could try to make your own private Netflix How to Make Your Own Private Netflix Using Dropbox, Google Drive, or OneDrive How to Make Your Own Private Netflix Using Dropbox, Google Drive, or OneDrive It's easy to make your own private Netflix. All you need is Kodi, plus movies and TV shows saved to Google Drive, OneDrive, or Dropbox. Read More using cloud services or turn a Raspberry Pi into a Plex media server How to Turn a Raspberry Pi Into a Plex Media Server How to Turn a Raspberry Pi Into a Plex Media Server Here's how to install Plex server on a Raspberry Pi, configure it, and start streaming movies, TV shows, music, and more. Read More . Check out our guides for more information on both options. Explore more about: Media Player, Media Server, Plex, Streaming Music. Let me know if you need any additional info! Amended, thanks. Shame about the YouTube integration. Shouldn't JRiver Media Center be an option? Used it for years, never been disappointed. Not free but worth every penny. Might want to mention that Google Play Music has largely been replaced by YouTube Music and will likely disappear in 2019. Not sure if everything will automatically transfer over to YouTube Music. Dang, I havent seen an updated local music streaming article in a while and was really hoping to find something new that someone would bring to the table. Sadly its still basically the same, although I never heard of Airsonic before and will look into that. I know Madsonic was another fork as well of Subsonic but never got it working. Subsonic is still the one I use and have been for years now only due to the fact that I have a lifetime license prior to him going the pay per month route. Its still great despite the lack of development in the last several years but I do wish it had some more features that the big streaming companies have and I dont believe he will bother updating this application much anymore sadly. I am shocked you didnt mention a few of the other big named streaming solutions to. Currently the one I wish I could get seems to be Roon but I believe its still only local play only and costs a fortune (like $500 for lifetime key?) to purchase it. If it had external streaming like subsonic I would probably consider this option a bit more, I should also check on it since its been at least a years since I last looked.